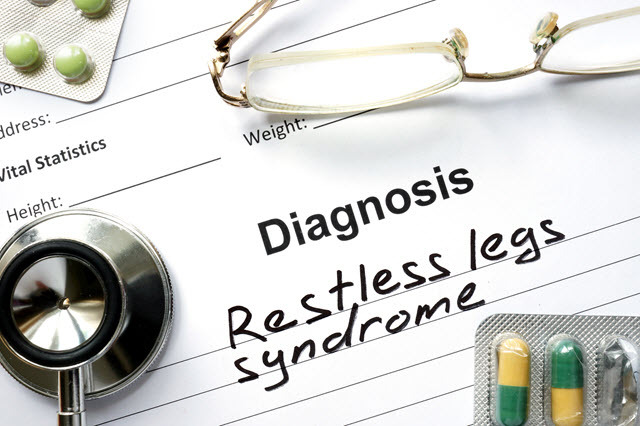 One of the most familiar and common sleep disorders is Restless Leg Syndrome, or RLS. But the condition goes underreported, undiagnosed and untreated much of the time. Why? For the most part people who suffer RLS suffer with a nuisance sleep problem. Few sleep disorders, including RLS, are taken as seriously as they should be and part of the problem is with healthcare, in general. Even some physicians fail to address the root causes for many sleep disturbances. RLS causes are still largely unknown. Research is being done to try and unravel this elusive condition, but there are plenty of clinical trials ahead before any real cure is discovered. Uncomfortable leg sensations, including twitching, creepy-crawlies, pain, “jumping,” and the general uncontrollable urge to keep moving them, is the primary symptom. Insomnia symptoms, including next day fatigue, problems going to sleep or staying asleep, mobility and coordination issues, trouble concentrating, and irritability. Insomnia is a symptom of most sleep disorders and not a disorder in and of itself. Establish good sleep hygiene, including a routine bedtime, elimination of stimulants like caffeine and sugar before bed, create a relaxing “sleep space,” and turn off the television while sleeping. Get adequate amounts of sleep: most adults require between 7 and 9 hours of sleep. Alternative treatments that may offer some aid include acupuncture, hypnosis, therapeutic massage, and deep relaxation. If you have a vitamin deficiency your doctor may recommend daily supplements that could help minimize RLS. The only prescription medication approved for use in specifically treating RLS is ropinerole, brand name Requip. Originally this drug was developed for use with Parkinson’s patients, but further use has also shown its value as a relief for RLS leading to its subsequent FDA approval as such.